Some religions claim parts of the bible is from God, some people claiming to be Christian also say that some parts are from God and other parts are not. Some that claim the whole bible is from God only cherry pick bible verses to suit their needs, desires, and arguments. The orthodox Christian faith believes that the whole bible is from God. 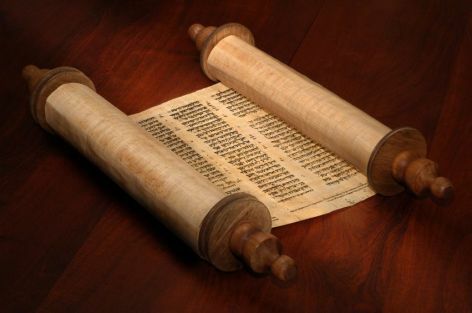 The Old testament is from God just as equally as the New testament and the apostolic epistles. God used and spoke through the Prophets and Apostles. But how do we know? First we have to agree that there is a God who chose to communicate to his creation through language and writing. Secondly we need to agree that it is through the Jews that God chose to communicate. Debating The Jewish faith and the existence of God is prior to this article. If you do not believe that God is real, or deny predictive prophecies than the rest of this article does not matter in your eyes. But if you are willing to accept that God is real and spoke through the Jewish people than this article will help in your understanding. The Bible as God's Word is dependent your view of the possibilities of supernatural miracles and predictive prophecies. We can look at the manuscript evidences, and historical evidences but first lets look at the supernatural and miracle evidences. Gen 12:7 God is recorded promising Abraham a geographical location to his decedents. Despite slavery to Egypt, Persia, and Rome, the Jewish people is the only nation in human history to continually return unified through being enslaved and conquered and to return to the specific geographical location after thousands of years. Ezk 26 records in detail what Alexander The Great would do to the city of Tyre over 500 years before Alexander The Great was born. Daniel even describes the future world powers and what region they will come from in their exact order. Looking at the manuscript evidences; the culture itself gives support. To the scribes that would record and copy manuscripts; perfection was pride. They would compete with each other over how perfect the manuscript was copied. Imperfect copied manuscripts would get burned and the scribe would become an outcast. They were so prideful in copying the manuscripts they would not even want to change them. Because a change meant being shamed and losing all personal creditability as a scribe. Competing schools in the Jewish community would critique each others and try to find errors in each others work. Needless to say, since recording their stories and history and continuation of their faith through their writings is more reliable than any other philosophical work in human history. Looking at the manuscripts themselves that we have currently: There are three kinds. Masoratic texts, The Dead Sea scrolls, and the Septuagint. The Masoretic is considered the standard of Hebrew texts. There as not been any manuscripts before it that have contradicted it. The Dead Sea scrolls are dated 150 to 100 BC. The Septuagint is a greek copy of Hebrew texts. It is dated between 250 and 100 BC. When comparing the three; they are in essential agreement. The only differences are spelling styles and spelling errors. There are zero differences in teachings and doctrine. The traditional view of Moses being the author of the Pentateuch (the first five books of the told testament) is been attacked in recent history. We must remember that the Jewish people were closer to the time of the writings than we are and that they use cultural language that is not completely familiar to us. The people that would best knew the reliability of the wrings are those who were the closest to the time of the writings and who better understand the cultural language used in the writing. The unity in teaching and doctrine of the Pentateuch support a single authorship. Writings following the Pentateuch state who wrote the writings prior to theirs. Joshua 8:31; 1 Kings 2:3; Daniel 9:11; Mark 12:26; Luke 20:28; John 5:46-47; 7:19; Acts 3:22; Romans 10:5). Even the Pentateuch itself declares Moses to be its author (Exodus 17:14; 24:4; 34:27; Numbers 33:1-2; Deuteronomy 31:9. The author of the Pentateuch had personal knowledge of the geography and language of Egypt. "He was familiar with Egyptian names and uses Egyptian figures of speech. There is a greater percentage of Egyptian words in the Pentateuch than in the rest of the Bible. This seems to indicate that the author had lived in Egypt and was most likely educated there as well. Moses was born, raised, and educated in Egypt. It is also interesting to note that the author does not attempt to explain these uniquely Egyptian factors. This probably indicates that his original readers were also familiar with the Egyptian culture, and, this is exactly the case with the Israelites that Moses led out of Egypt." "the customs recorded in the Pentateuch were genuine second millennium BC customs. This would not be expected if the Pentateuch was written much later. This point is even stronger when it is realized that many of these customs were not continued on into the first millennium BC. Some of these ancient customs were the legal bearing of children through maidservants, the legality of oral deathbed wills, the possessing of household idols in order to claim inheritence rights, and the way real estate transactions were practiced"
For more evidences of the reliability of the Old Testament please visit The Institute of Biblical Defense. A majority of the rejection of the Old Testament requires the denial of the supernatural. Denying what the Old Testament is focused on blocks the true understanding of what is being said and what is recorded. Of course it will be rejected if you deny what it is saying before you even read it. You can't be open to The Bible being God's Word if you deny God before even reading the Bible. BUT if you research The Bible with a truly open mind and with the understanding that miracles and predictive prophecies are possible than you are better able to understand and see what The Bible has been saying for thousands of years. The Next logical question is How did the books of the Old Testament get chosen?